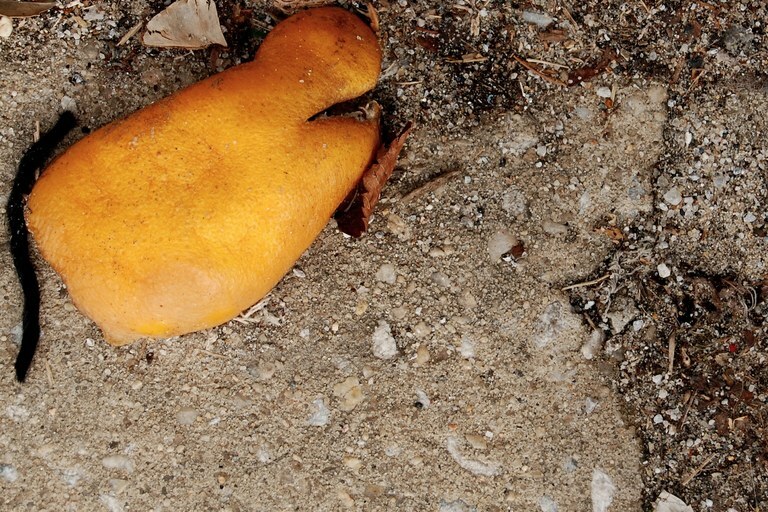 An orange peel rots (slowly) on a trail. Indeed, the venerable Leave No Trace organization has done experiments more sophisticated than mine. Banana peels can take up to two years to decompose, while orange peels can linger up to six months. In an arid environment, orange peels, rather like King Tut’s mummy, will last indefinitely. Citrus contains a natural insecticide: Even the ants won’t touch orange peels. And chewing gum contains rubber, so it won’t rot.